I awoke Sunday morning feeling energized. After more than eighteen hours in the car the previous day, I thought I would sleep more than five hours, but what a glorious five hours it had been. It was extremely solid sleep and I felt completely refreshed, finally ready to start this vacation. It was a chilly and foggy Denver morning, which was disappointing as I hadn’t been able to see the mountains yet. I was hoping to catch at least a glimpse of an outline while driving into town, but the storm had made it entirely too dark. I was hoping for some better weather, so when I saw that the forecast called for the fog to lift and the temperature to rise, I knew it would be a good day. 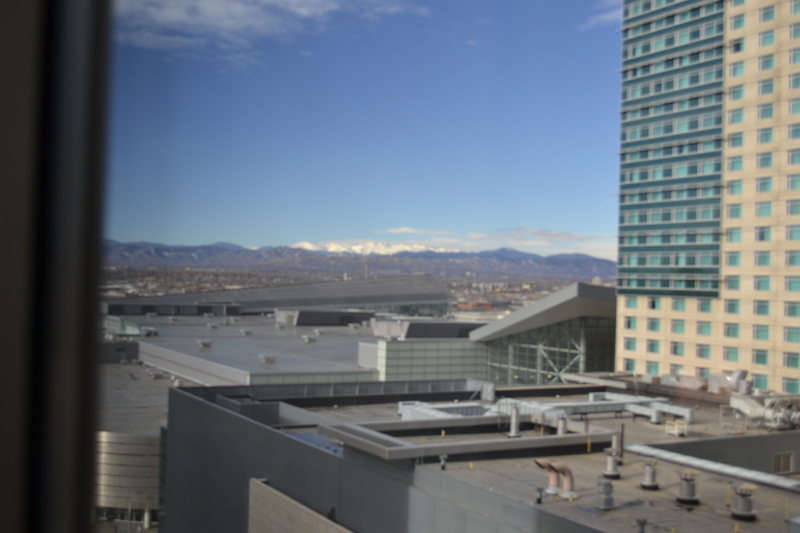 These things would actually happen rather quickly and I was finally able to see the Rocky Mountains from my hotel room window, which is the picture you see above. I checked back in with my friend Geoff and we agreed to meet up after a bit so he and his fiancée Renee could show me around. After a nice shower, I got dressed and headed downstairs, finally ready to really see some of Denver. They picked me up a little after noon local time and we found a parking lot a few blocks away to give ourselves a nice starting point for the day. We stopped in this little candy shop for a few minutes, which had some of the strangest things in it to be honest. Who knew bacon-flavored cotton candy was actually a thing, but it is. From there, we just continued to walk the streets of downtown Denver. 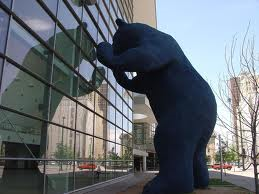 I saw the museums and the theatre district and a very oddly placed 40 foot blue bear that just stares into the convention center for no apparent reason. It really did turn out to be a beautiful day. 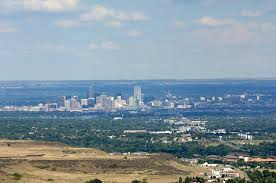 If you’ve ever been to Denver, then you know how crisp the air is there, which made walking around that much more pleasant. After a while, we stopped for a nice lunch and that much needed beer I had been craving the night before. It was nice to get caught up with Geoff and to get to know Renee a little better. I asked about their upcoming wedding and they asked if I’d like to see where they were going to get married and as I was wanting to see as much of the area as I could, I said I would. So we strolled around a little more before heading back to the car for a little drive out to Red Rocks. It had cleared up even more throughout the afternoon, so the drive brought even more great views of the Rockies. 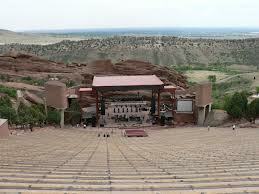 After twenty minutes or so, we arrived at Red Rocks and took a little walk around. It would have been a little walk to get to the actual wedding venue, but they did give me a nice view of the amphitheater there, which I had no idea even existed. Apparently, it’s quite the big deal, as many famous musical acts perform there constantly. It didn’t hurt that the area was surrounded by these big, beautiful red rocks (not just a clever name) and more great views. and some pretty cool twists and turns through the mountain range. 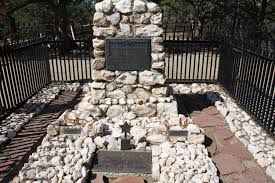 And since we were close, we decided to see the gravesite of Buffalo Bill as well, just because we had the time. From there, we drove for a little while longer coming back down the mountain and perhaps saw the strangest thing ever-a man actually riding a unicycle up a mountain. Yes, that actually happened. 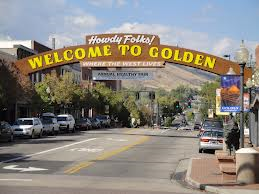 Anyway, we drove through Golden, Colorado, which is the most charming little town I’ve ever seen. If I ever go back out that way, I’m going to make it a point to stay there for a day or two, just to take it all in. It had gotten dark by now, so we stopped by their place for a few minutes before heading back into the city to top the night off. They took me to this great bar called The Cherry Cricket, which was located in the Cherry Creek district, where we spent the next couple of hours just talking some more and having a few more drinks, before they finally dropped me back at the hotel. 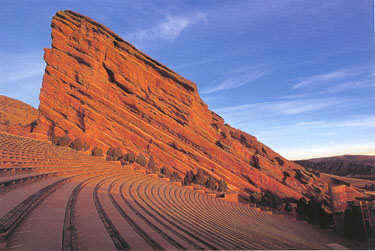 I would like to take this opportunity to thank Geoff and Renee for their wonderful tour of the Denver area. They gave up their entire Sunday just to make sure I had a good time in their town, and I certainly did. I walked into the hotel, sat down at the bar and had one more drink before heading up, just trying to soak in everything I had seen and done that day. It was a day full of sights, a day full of laughs, a day spent with a good friend, and a day where I made a new friend. I’ll take that any day.